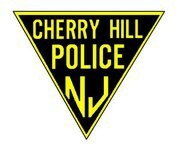 On Wednesday Nov. 19 at approximately 9:46 p.m., Cherry Hill Police were alerted to a disturbance inside of a vehicle in the Cherry Hill Mall parking lot. Police determined that the owner of the vehicle was in the process of purchasing two IPhone 6’s which were advertised on a Craigslist posting. The vehicle owner met the seller on the mall lot and was in the process of completing the sale inside of his vehicle. Prior to paying the seller the buyer noticed that the packaging on the cell phone box had been tampered with. When he advised the seller that he was going to open the boxes and inspect the phones an argument ensued. The buyer then observed a police car on the parking lot and drove over to speak with the officer. After police interviewed both subjects, the seller agreed to allow police to open the boxes, which were ultimately found to contain cotton and rocks. A search of the seller’s vehicle revealed another IPhone box also containing cotton and rocks. The seller, a 26-year-old man from Millville, was taken into custody and charged with theft by deception. Police remind anyone making purchases through sites such as Craigslist to deal with sellers locally, face to face, in a public area such as a police department. Additionally, do not rent or purchase unseen items.